After cruising B.C. and Alaska for 25 years, in 2010 we moved aboard Falcon VII. After one more trip to Alaska in 2012 we sailed to Mexico. We enjoyed tropical cruising in the Sea of Cortez for 3 remarkable years. In 2016 we brought our trusty boat, Falcon VII, back to beautiful British Columbia to enjoy this part of the world again. Where and how we’ll travel next is still up in the air, but we do know one thing; for now, at least, the gypsy lifestyle feels right for us. 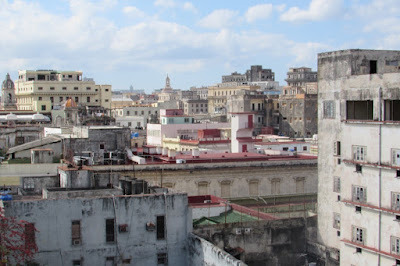 During our winter getaway in January 2017 we spent a few days in Havana. 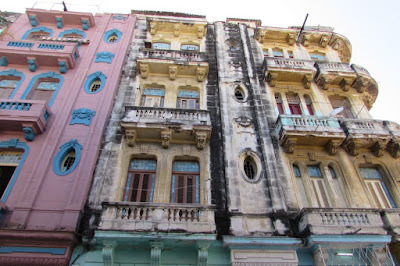 Jim did a great blog entry about the architecture of Havana. 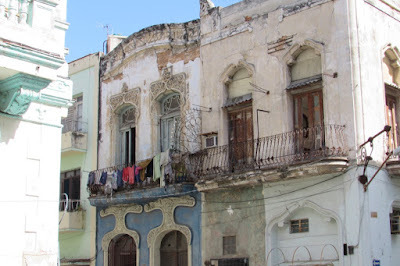 This is a bit of a glimpse at other sides of Havana. We hope you enjoy our glimpse into that old city. 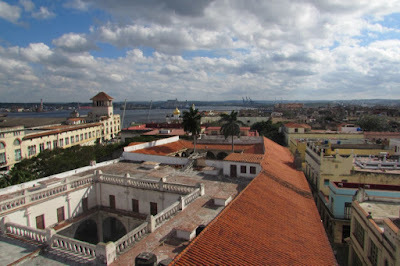 The view from our room in Havana on the Malecon. Locals pick through fresh fruit and veggies beside a public park. Cubans definitely think well of Canadians. Windy day looking toward the fort on the far side of the harbour. Eat of these tiles is individually crafted. Together they formed a massage wall mural. An every day occurrence - these old, well maintained cars. Winter northerlies create heavy seas and crashing wavs. This special entry by Jim Bowen. 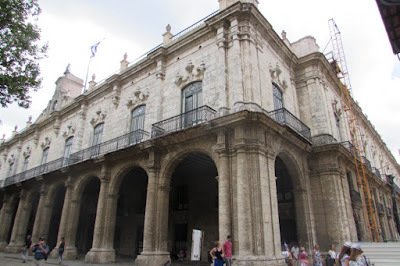 During our time in Mexico, we'd seen some interesting examples of Spanish Colonial architecture here and there, but nothing had prepared us for what we would see in the city of Havana. In the early part of the 20th century, Havana was incredibly rich. It seemed to act as a magnet, drawing money from the far corners of the world. So much financial activity was taking place here, that in 1902, a block of the downtown core was dubbed, "Little Wall Street". There was a boom period, sometimes known as Havana's "Guilded Age", when buildings were being built at a frantic pace, in a myriad of styles, side by side, for block after block. Walking around the city centre, or "Centro", we saw buildings with Moorish and Spanish influence, in Italian, Greek and Roman styles, with international influences such as art nouveau, art deco and eclectic. For anyone interested in architectural photography, Havana is a paradise. 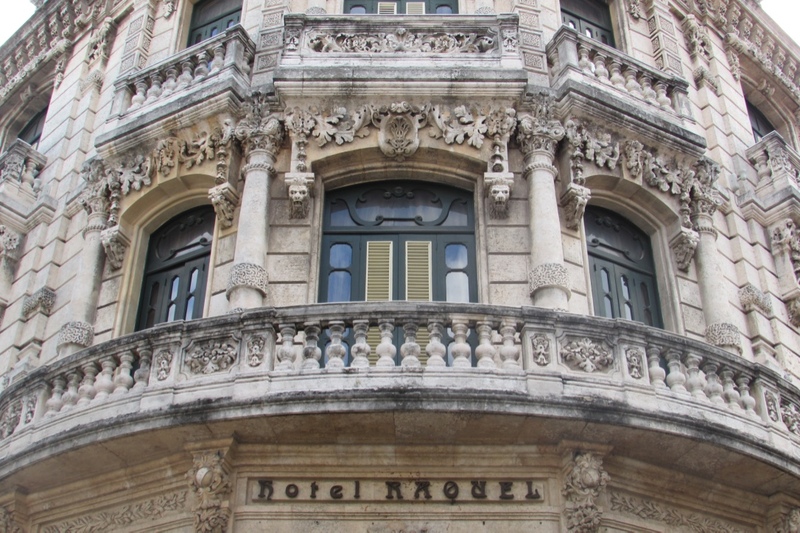 The city's architecture is dramatically diverse, and clearly mirrors Havana's history, from Spanish Colonial times to the present. Havana's fortunes have risen and fallen, along with that of the country as a whole. The great depression, conflicts with the United States, the Cultural Revolution, the collapse of the Soviet Union; all saw the city and her beautiful buildings suffering neglect, and the deterioration which goes along with it. 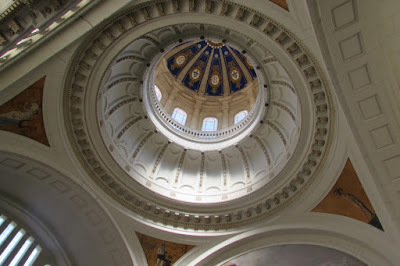 In 1974 however, a local high-school teacher founded an organization, whose mandate was to oversee the restoration of as many of these great buildings as possible. Since then, more than a hundred projects have been completed, most of them spanning several years. 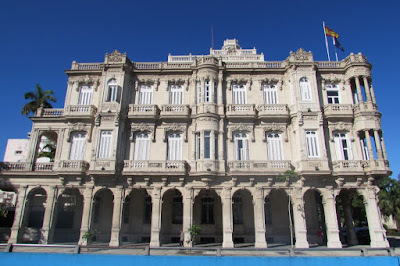 With the exception of a handful of government buildings, almost all of the buildings which have been the beneficiaries of this program are in the City Centre. As you travel outward, away from the centre, the state of dis-repair, or sometimes, near collapse, of the buildings is astonishing. 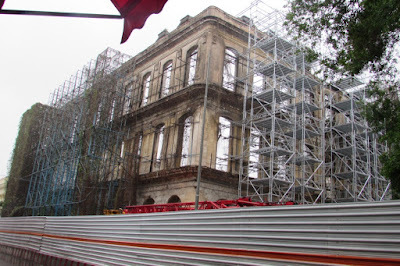 In the photos below, I start with buildings which have undergone restoration and move to buildings which have not. 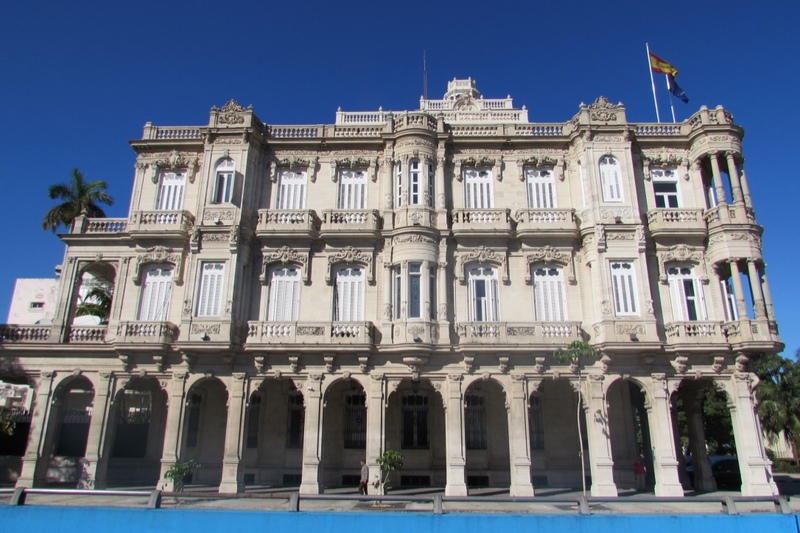 This is the Presidential Palace, which has just undergone a major multi-year restoration. 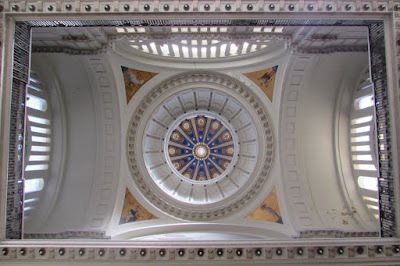 The details of the ceiling in the main meeting room of the palace are fantastic. ..... and of course, churches for all faiths. 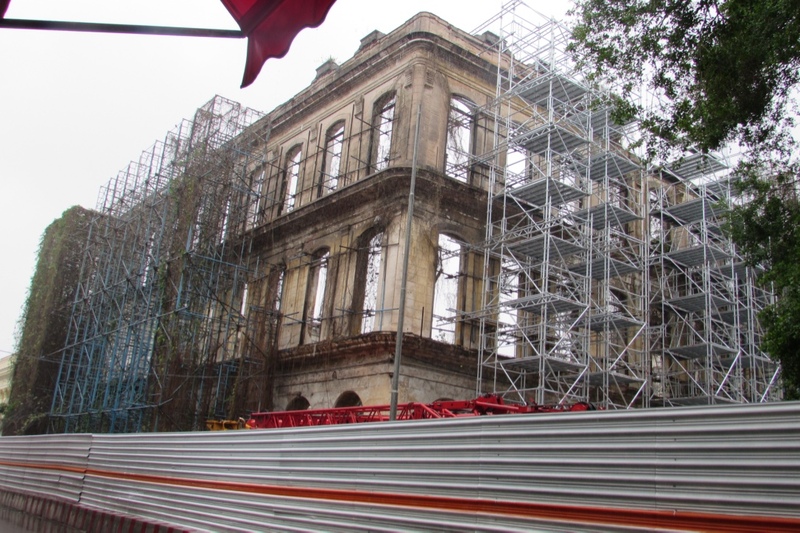 Many buildings wear a coat of scaffolding for long periods of time. This is the Capitol Building, the seat of local government. It's in the middle of a decade long restoration. 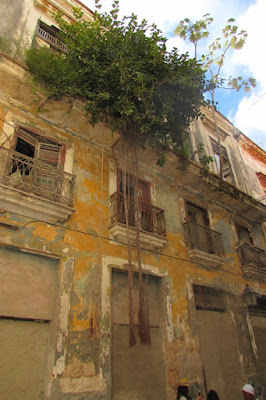 This building has had it's scaffolding up for so long that part of it is covered in 50 foot tall vines. 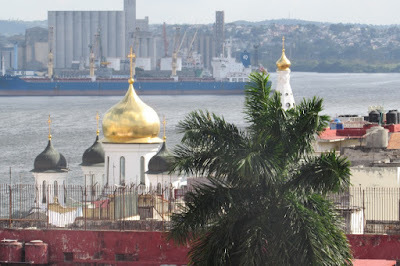 The Colonial part of the city sprawls along the side of the harbour, never more than 5 or 6 stories high. At the edges of Centro, "modern" buildings, built after the revolution, sometime in the 1960's, sit side by side with restored Spanish Colonial gems like this. Moorish influenced buildings pop up here and there, also side by side with Spanish Colonial buildings. Only a small percentage of Havana's buildings have been lucky enough to be restored. As we wandered farther away from the crowds of tourists, into the areas that have had no injections of cash or care, our eyes widened at what we saw. 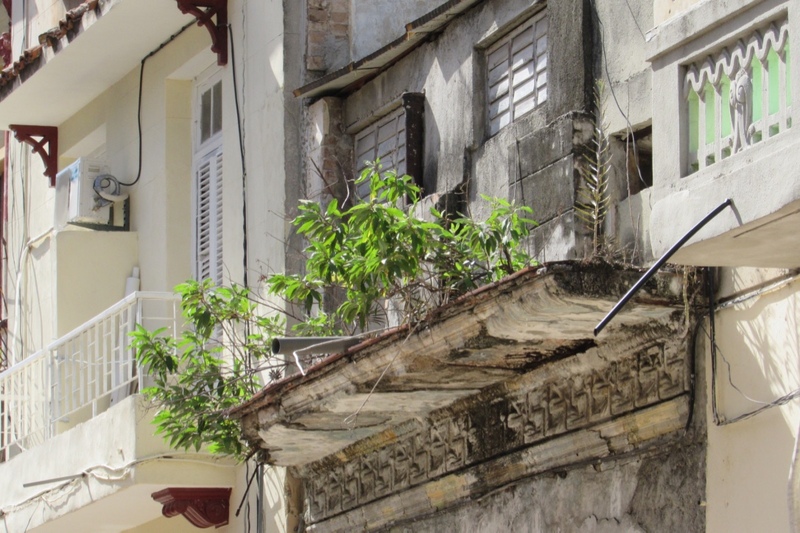 There are a lot of buildings that badly need care, but are still usable. Mixed in between, are boarded up examples, badly deteriorated and beyond saving. As extravagant as the facades were when they were originally built, underneath the stone veneer, most are simple adobe construction, vulnerable to decay when not protected. Incredibly, many of these buildings are occupied, despite their terrible condition. 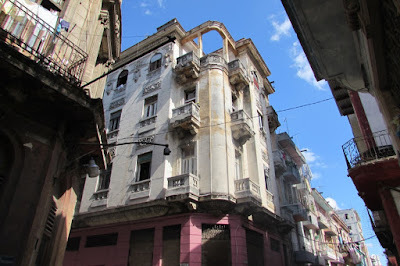 Occasionally, a part of the facade or a balcony will come crashing down to the street. And yet life goes on for thousands of people who call Havana home. 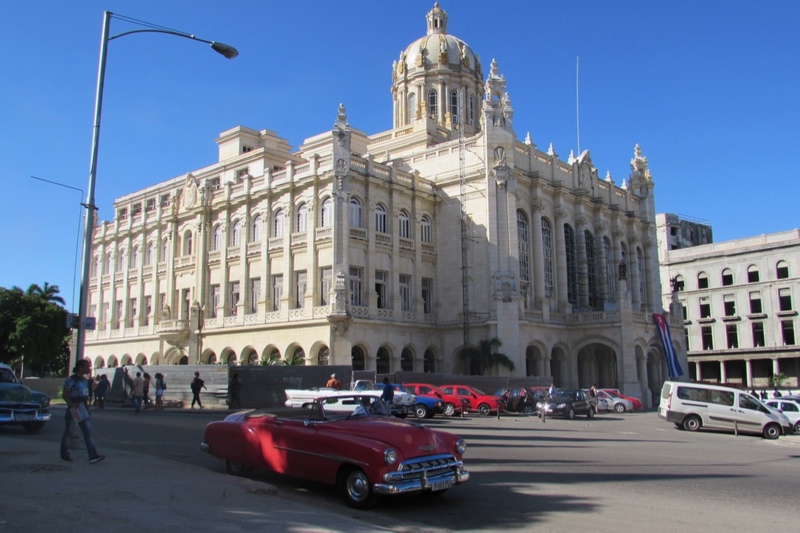 We know so little of the political situation in Cuba to even begin to understand how all of this could happen, and what the long term solution might be. 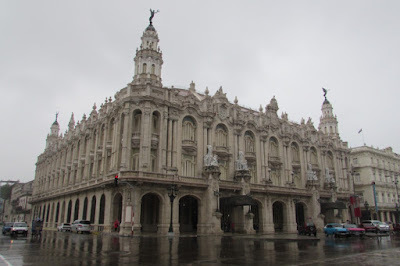 The fact that many of these buildings have passed from private ownership, to state ownership under Communism, and back to private ownership again plays a big part. There is no "real estate" industry here, as we know it. It's only been a few years that owners of private homes have been allowed to advertise their property for sale. 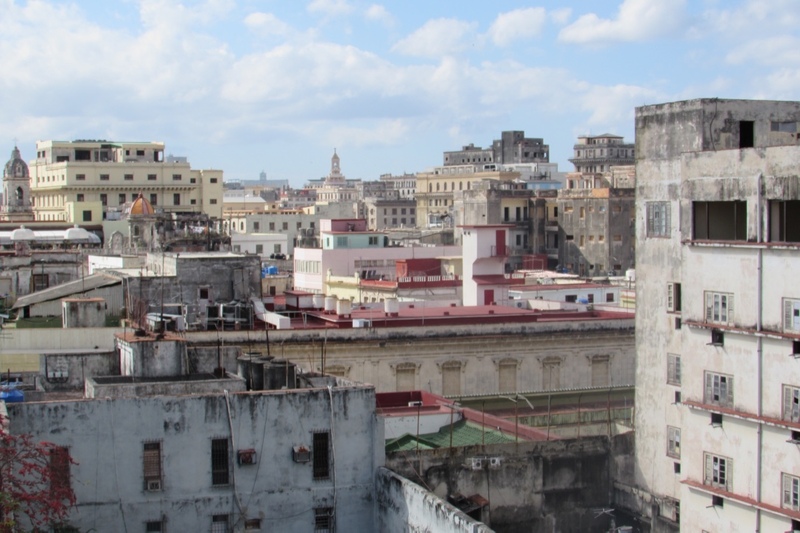 Will Uncle Sam come in and "save" the Cubans? 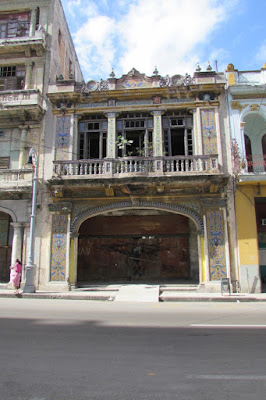 Will these once majestic buildings crumble to the ground, a reminder of man's tiny place in the universe? I put this last picture in to remind myself of how lucky we are to live where we do. We were told by a resident of the neighbourhood that only the top three stories of this building are occupied. 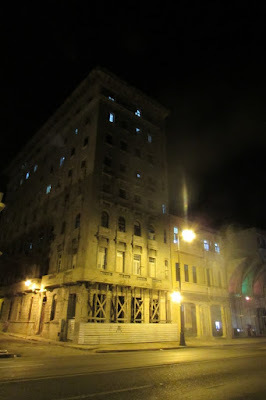 You can see that there are no lights showing on the first three floors. 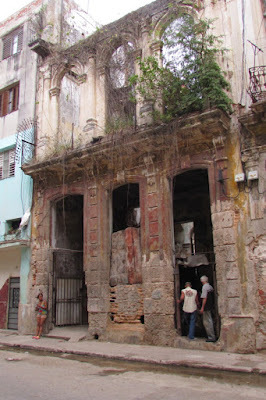 He said the reason for this is that the plumbing coming from the bathrooms above only drains into the basement and first floor, since the connection to the city services has long since corroded away. The electricity is likely jury-rigged from some nearby overhead wires or from an adjacent building. 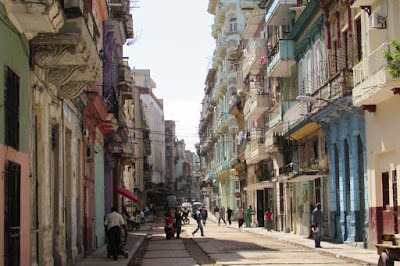 There are probably a dozen or more families living there, and yet every day they get dressed and go to work or school, and the ones that we passed on the street always seemed to have a smile and a friendly "hola" ready for us. Amazing! In January 2017 Jim and I took a ten day trip to Cuba, stopping off in Cancun for a couple of days to visit the Chichen Itza Mayan ruins on the Mexican Yucatan Peninsula en route. Please see our separate blog posting. 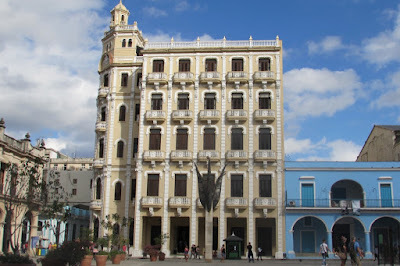 From Cancun we flew to Havana then bused to Pinar del Rio. 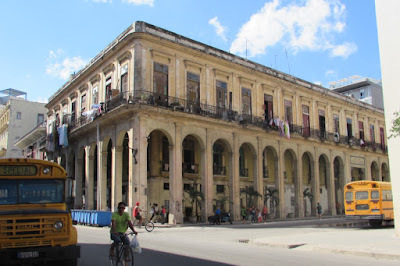 More laid back Pinar del Rio. 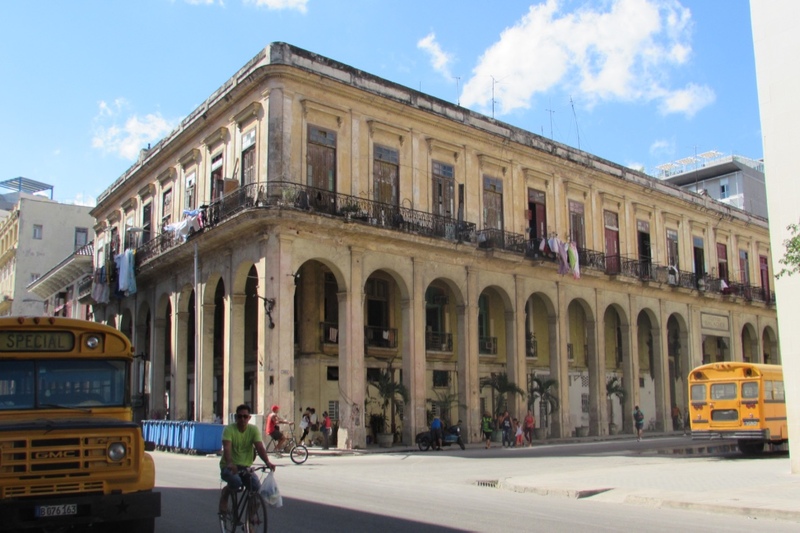 When planning our trip to Cuba, we decided to limit our time to Havana and one other destination, choosing Pinar del Rio as our second stop. 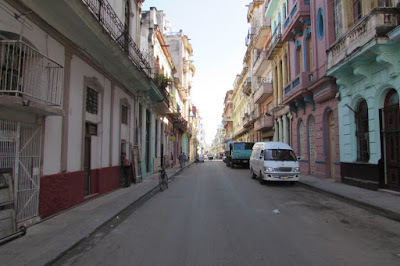 We happily left Havana after a couple of long, hectic days in search of something a bit more... laid back. Just another normal day in Pinar del Rio. 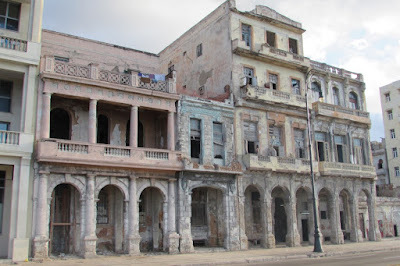 Pinar del Rio is a three hour bus ride west of Havana. The town is centrally located in the middle of agricultural lands. 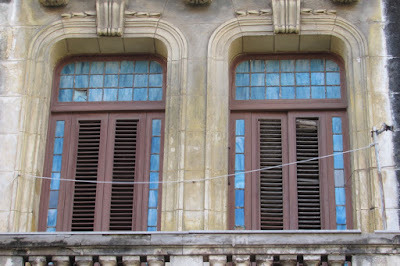 It's only 20 miles from the picturesque Vinales Valley and village of Vinales. 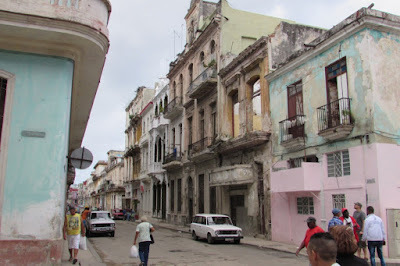 It isn't a very touristy town and we were only two of a handful of gringos around. 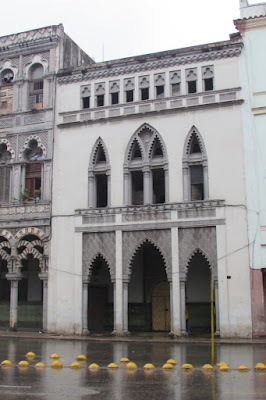 This was built as a house, later donated to create a strange, odd museum. 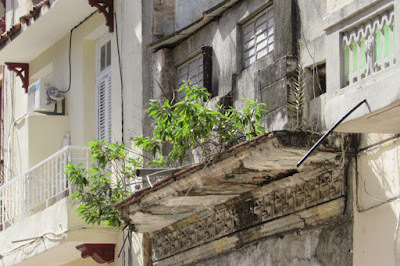 Gargoyles and seahorses decorated the structure. Vintage Russia cars and motorcycles are normal. Like a lot of Cuba, older architecture has been carefully preserved. 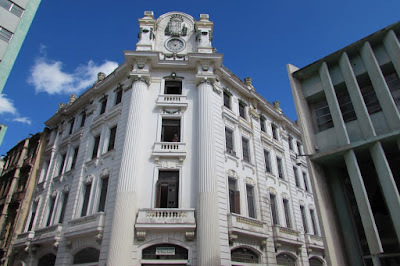 We were very glad that we decided to book into Pinar del Rio instead of Vinales when we heard that there were 300 case particulars in that tiny one street town! Tobacco is the major crop in the region but agricultural lands abound with avocados, potatoes, sugar, tropical fruits and rice. so they reach for the sky, allowing the leaves to develop properly. The expert guide rolled a cigar from carefully selected tobacco leaves. They monitor and control humidity, helping with the drying process. Shops, services, banks and restaurants are all easy to find near the centre of Pinar del Rio. 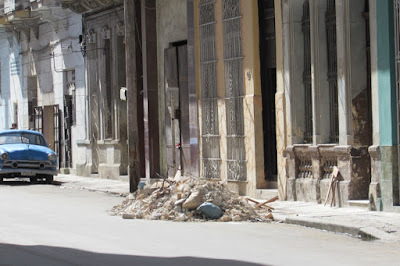 Just a normal day in Pinar del Rio - not film props! 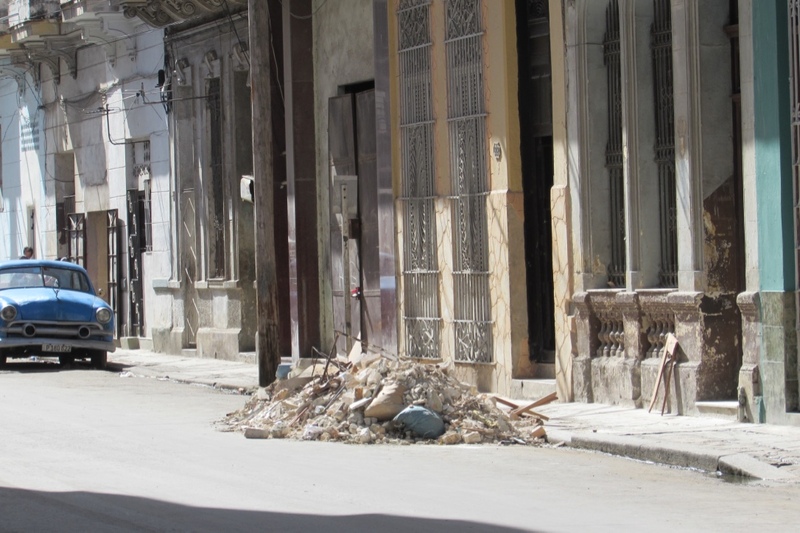 For a small fee taxi drivers are available for half to full day trips to see the local sights. Jim with Miguel, our taxi driver for our day trip to Vinales. Many Cuban taxi drivers take extreme pride in their vintage automobiles. 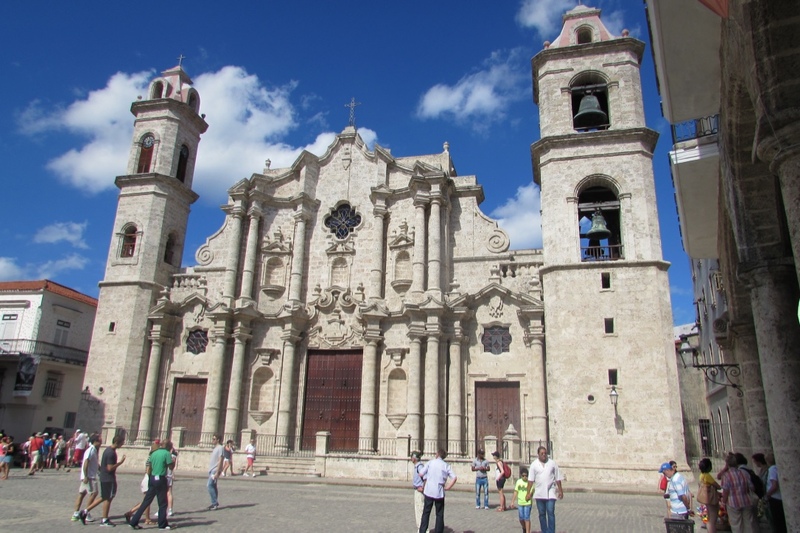 We spent days visiting two tobacco plantations and a small coffee plantation, taking a leisurely horseback ride through agriculture lands, touring an ancient cave by boat and relaxing in the perfect Cuban winter temperatures, which were very similar to our BC summer temperatures. And the first coffee grinding machines. Not the fastest way to get around but easy on gas. how to roll cigars. They then insisted we ALL try it. Yuck! The fellow on the left is from Timperly, England, where Jim grew up! home cooked meal of chicken for me and Jim's favourite - fried fish. time they're doing it for the benefit of the tourists. A bit cheesy. We stopped by a large, significant cave in the Vinales Valley. A large section of this sacred cave was only reachable by tour boat. a very special place for sure. Jim overlooking the slim exit from the cave. Not a horse in site? How about an oxen? This giant mural took four years to paint! It isn't prehistoric at all. That's Jim in the the blue tee shirt near the base of it. We loved the slower pace of this region - the helpful locals, our fantastic homestay and the picturesque surroundings of Pinar del Rio and Vinales. We definitely hope to visit again one day. 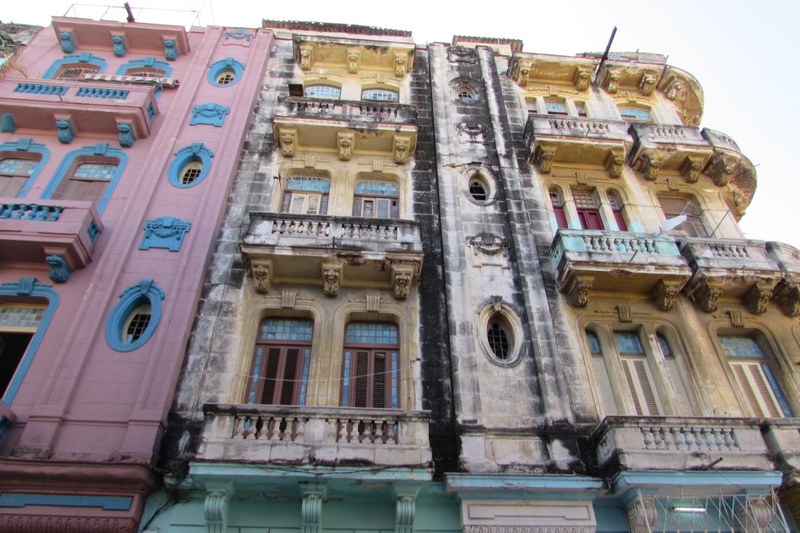 CUBA - Know before you go!